Phytology is an historic term, not widely used today, for the study of plants. Antediluvian was a term much used by early paleontologists to describe the “time before the great Biblical flood.” These two terms are necessary to understand the title of an important work in paleobotany: Antediluvian Phytology (1838), by Edmund Tyrell Artis. The formal study of paleobotany has roots in 1828, when Adolphe-Théodore Brongniart, known as the Father of Paleobotany, published Histoire des végétaux fossiles. A decade after this publication, Artis’ work was published. It was remarkable for including some the best paleobotanical illustrations published up to that time, describing many new-to-science species, and interpreting fossils through the lens of the individual that actually collected the fossils: Artis himself. At the time, many paleontologists obtained fossils from collectors, but did not collect themselves. Understanding the context in which a fossil is found, and the surrounding environment, can have important implications in the analysis and interpretation of the specimen. Artis, Edmund Tyrell. Antediluvian Phytology. 1838. http://biodiversitylibrary.org/page/39307886. Digitized by the California Academy of Sciences. These accomplishments are even more remarkable considering the humble origins of Artis himself, which also contributes to much of the mystery surrounding him and his work. Artis was the son of a carpenter, born in 1789 in the small village of Sweffling in Suffolk, England. After moving to London to work in the wine trade with his uncle, he opened a confectionary shop, where his work caught the eye of the Earl Fitzwilliam, who asked Milton to join his staff at Milton Hall near Castor. Artis proved very adept, and was promoted to House Steward within three years. Artis often accompanied the Fitzwilliams on their visits to the other family property, Wentworth Woodhouse in south Yorkshire. The region boasted some of the most important coal mines in England, and Artis soon began collecting plant fossils from the area. He amassed a collection of between 1,000-1,500 plant fossils, some of which he described in his only publication, Antediluvian Phytology. 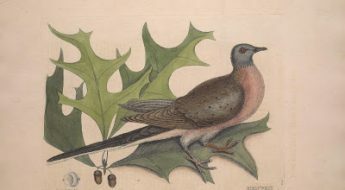 The work included 24 illustrations, some based on his own paintings and the rest the work of leading natural history illustrator John Curtis. Artis, Edmund Tyrell. Antediluvian Phytology. 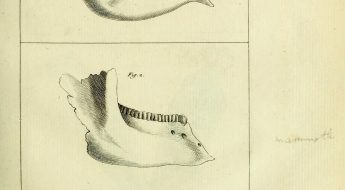 1838. http://biodiversitylibrary.org/page/39307868. Digitized by the California Academy of Sciences. Artis and his publication are something of a mystery. For instance, it’s unclear who paid for the publication of his work. There’s no evidence of pre-subscriptions that could have funded the work, or that Fitzwilliam contributed funds to it. Artis himself is not likely to have been able to afford such a venture. Furthermore, Artis was evidently familiar with the relevant natural history literature of the day, but how he gained access to it is alsoa mystery. Artis also apparently had influential friends. He claimed to have met Georges Cuvier, and William Buckland sponsored Artis to become a Fellow of the Geological Society in 1824. How he met Buckland, or when he would have had occasion to meet Cuvier, are unknown. Artis would later find an interest in archeology, becoming famous for his excavations of the Roman remains near Milton Hall. In 1847, he fell ill, possibly due to exposure to a harsh winter while excavating ruins in Northamptonshire. He died on Christmas Eve, 1847. Artis, Edmund Tyrell. Antediluvian Phytology. 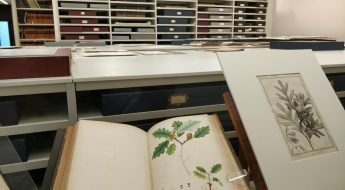 1838. http://biodiversitylibrary.org/page/39307762. Digitized by the California Academy of Sciences. Although much mystery still surrounds this enigmatic man, his contributions to the field of paleobotany are forever immortalized through his Antediluvian Phytology. Follow #FossilStories on Twitter and Facebook to learn more.